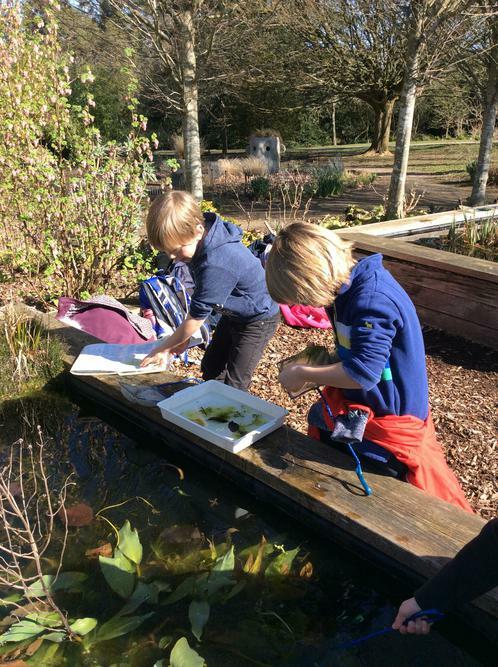 Year 1 and 2 were so lucky with the weather when we went on our trip to Hillier Gardens. 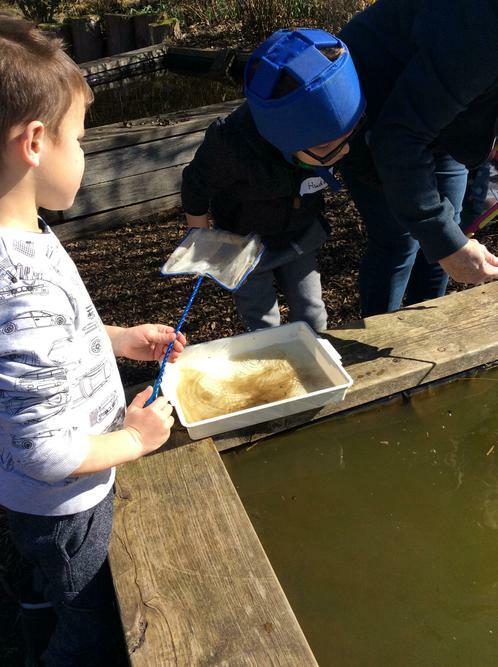 We had a fantastic day exploring the bamboo jungle, trip-trapping over the wobbly bridge and along the boardwalk to the lake. 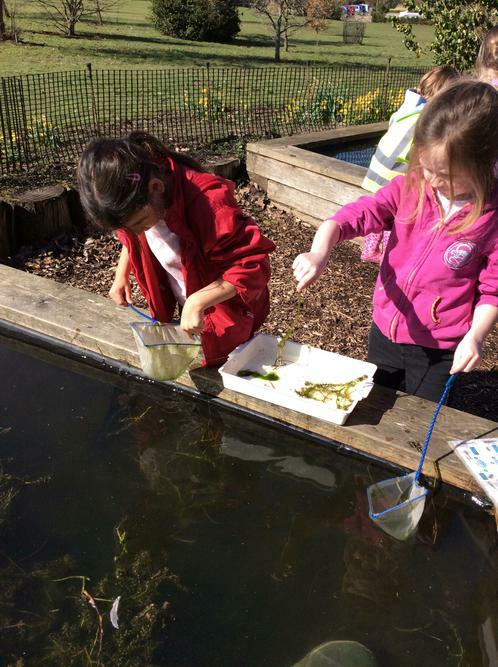 The highlight of our day was pond dipping in search of exciting creatures. 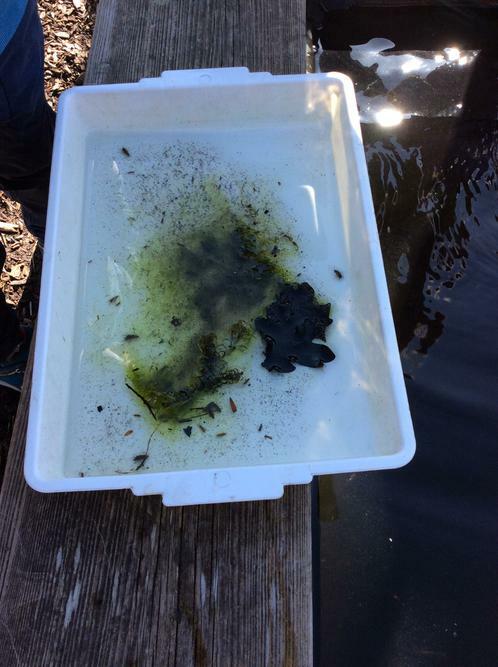 The children thought they had found an ammonite, but it was a tiny pond snail. 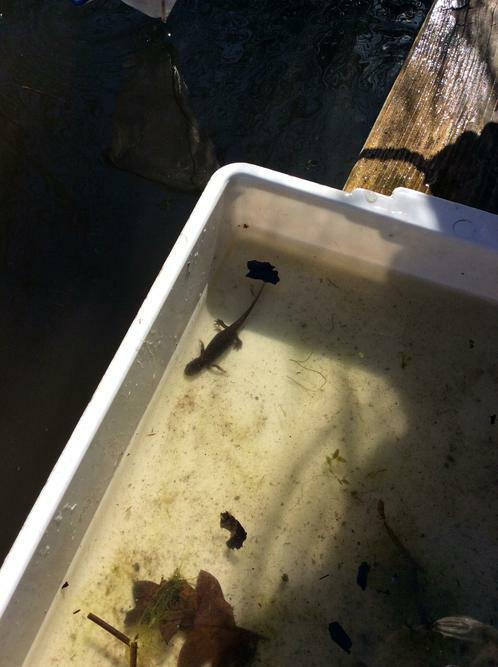 There was great excitement over the discovery of rare great crested newts! 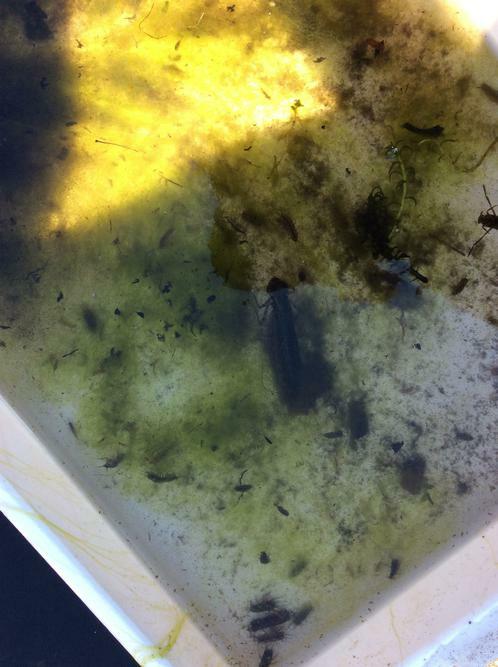 We also found dragonfly nymphs. Can you spot them in the picture? 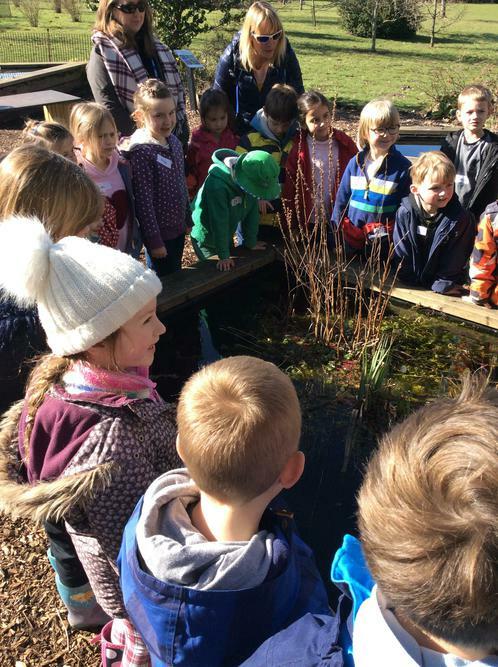 In the afternoon, the children played a game called 'meet the tree' where everyone wore a blindfold and were led in a caterpillar to find a tree. They used their sense of touch and smell to describe the tree. 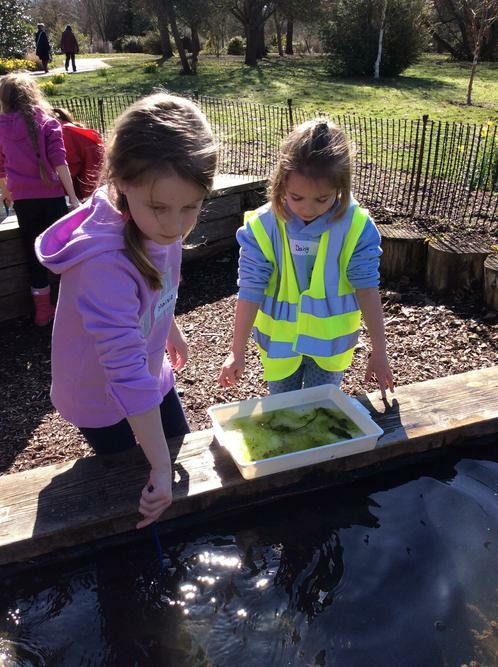 The children thought this was great fun!